JK TransLink. I’m happy with the service. Most drivers are very nice, too! 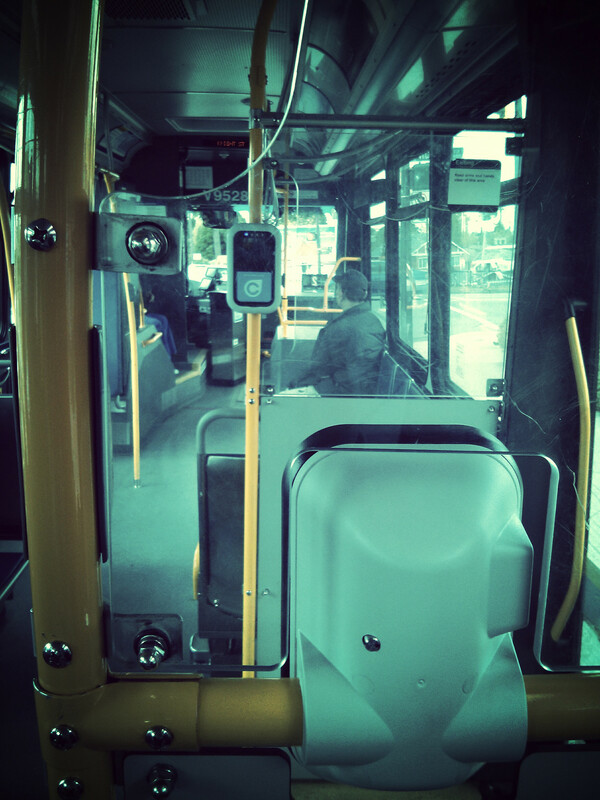 TransLink has buses, trolley buses, trains, skytrains and seabuses. The route to my job is a combination of 1-2 buses and/or skytrain. Luckily, I have several options and flexibility if one route is blocked or the bus is late (happens more than you think). Basically, TransLink divided the area of service into three zones, and the more you travel through the zones, the more expensive it gets. For example, I used to work in Vancouver while living in Vancouver, and only traveled within Zone 1, which costed me $81 per month. 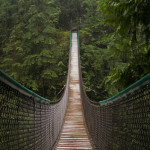 Now I work in North Vancouver, and have to purchase two zone pass, which is $124. The zones are united into 1 after 6.30 PM, on weekends and statutory holidays. You are given options, either buying single tickets each time you ride, day pass, getting a book of fare-savers (FYI, in Canada it’s almost always better to buy in bulk), or cashing out for a monthly pass. If you are a university student, most likely your educational institution would have a U-Pass system implemented. Tickets are valid for 90 minutes. I prefer having a monthly pass, just because I don’t have to worry about my ticket expiring, or not having enough change for the bus. If you are arriving to Vancouver in fall 2013 or later, never mind the bus tickets, as Compass Card should be in order by then. It’s supposed to reduce boarding time, as well as the amount of processed paper used to have tickets printed (never mind an overwhelming amount of plastic that will be used for their production). Overall, I think it is a good idea, but it will take some time getting used to. >>> Every stop has a 5-digit number written on it. If you have a smartphone with an access to the web, you can use nb.translink.ca in order to check when the buses as due at the stop by entering this 5-digit number (or send a text message with the number to 33333). 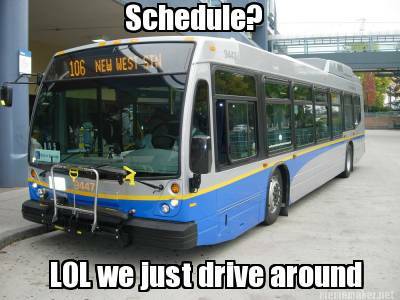 Also, you can use Google Maps or TransLink website in order to plan your route ahead of time. I will make another post to get in depth about Skytrain and Seabus services. 3. You can claim tax credit for your bus passes. 4. After 6.30 on weekdays, and on all weekends and statutory holidays there is no division by the zones. You only need to pay the bare minimum ($1.75 for concession, and $2.75 for adult). If you are interested, here is TransLink’s annual report. Sometimes, they do AMA on Reddit/Vancouver, and almost always reply to Tweets on their Twitter account.